The Apple Watch is an incredible device for keeping fit, staying healthy, and remaining connected without lugging your iPhone everywhere. But while it may be one of the best smartwatches around, it does have a slight weakness: battery life. Battery life varies and it really depends on your exact usage. But there are a number of things you can do to squeeze out some more power from your Watch's battery. Continue reading to learn the 7 Best Ways to Increase Apple Watch Battery Life. 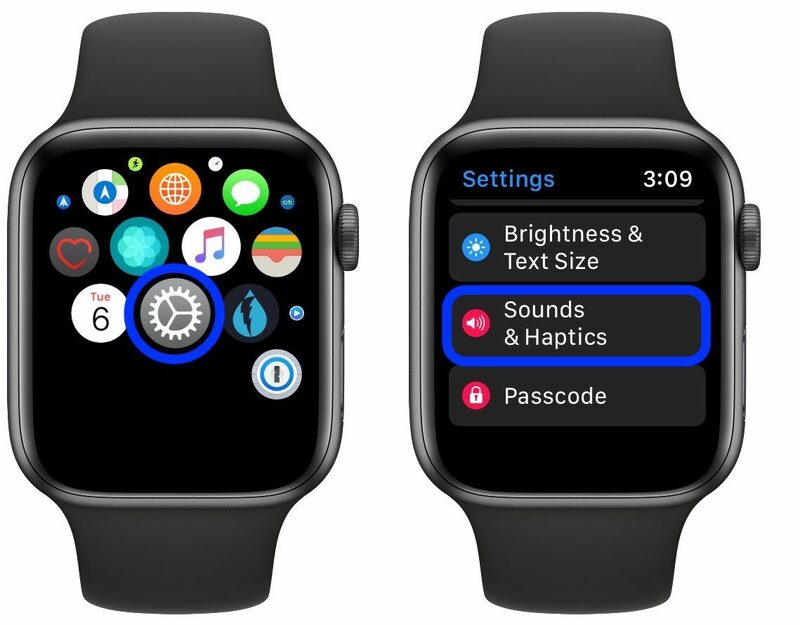 Cellular connectivity is one of the Apple Watch’s most convenient and useful features. Unfortunately, cellular also tends to be a big-time battery drainer. So assess your priorities and figure out if there are any occasions when you can do without. Luckily, disabling and enabling cellular is easy. Just swipe up from the watch face. Then tap the antenna icon. Disabling cellular during workouts or when you’re at the gym is a good idea. Your runs and other activity sessions will still be mapped thanks to GPS. Like on iOS, many apps on the Apple Watch refresh in the background. That comes them packed with up-to-date information, but it can also drain your battery life. You can selectively turn off background refreshing to save battery. Open the iOS Watch app. 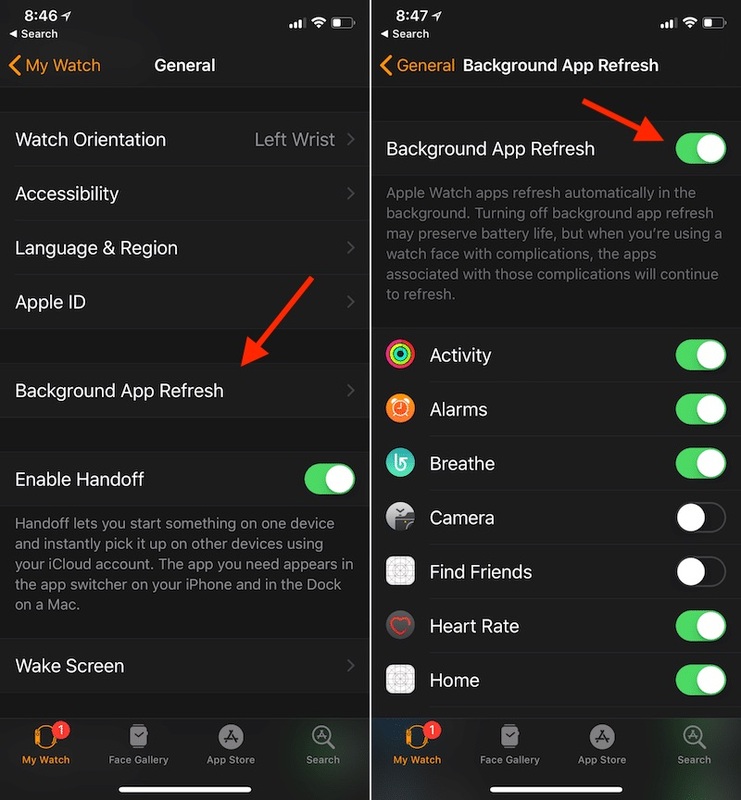 Turn Background App Refresh off completely with the top toggle, or choose apps to turn off individually. This also goes for complications, many of which similarly refresh in the background. You may want to go through and weed out the complications that you don’t use very often. Just long press on the watch face and get rid of the unused complications. The Apple Watch uses its onboard sensors to automatically wake the display when you raise your wrist. Of course, this may result in some accidental wakes that can impact your battery life. Of course, disabling it entirely may seem a bit drastic. 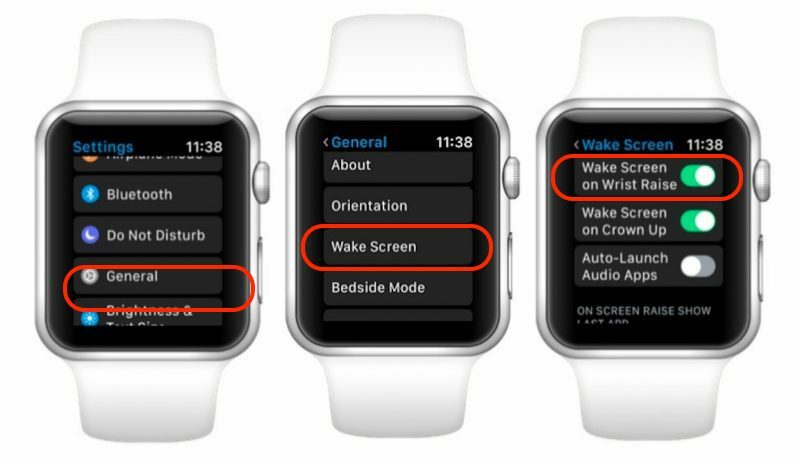 But you can also use Theater Mode to selectively disable the wrist wake behavior. As an added bonus, you can easily access Theater Mode by swiping up from the bottom of the watch face and tapping the icon. Just note that this also disables notifications. You may be the type of person that likes constant notifications so you can keep up-to-date. On the other hand, if you don’t like the constant barrage or don’t mind trading some connectivity for battery life, you adjust them accordingly. 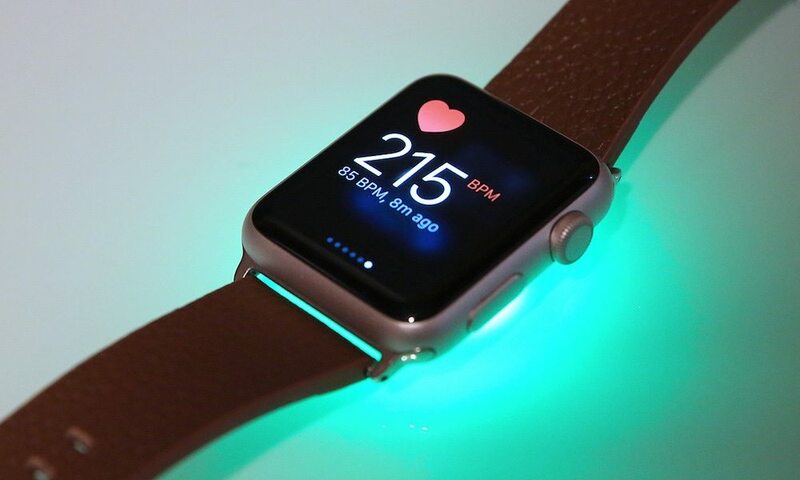 Your Apple Watch's battery life will thank you. Open the iOS Watch app on your iPhone. 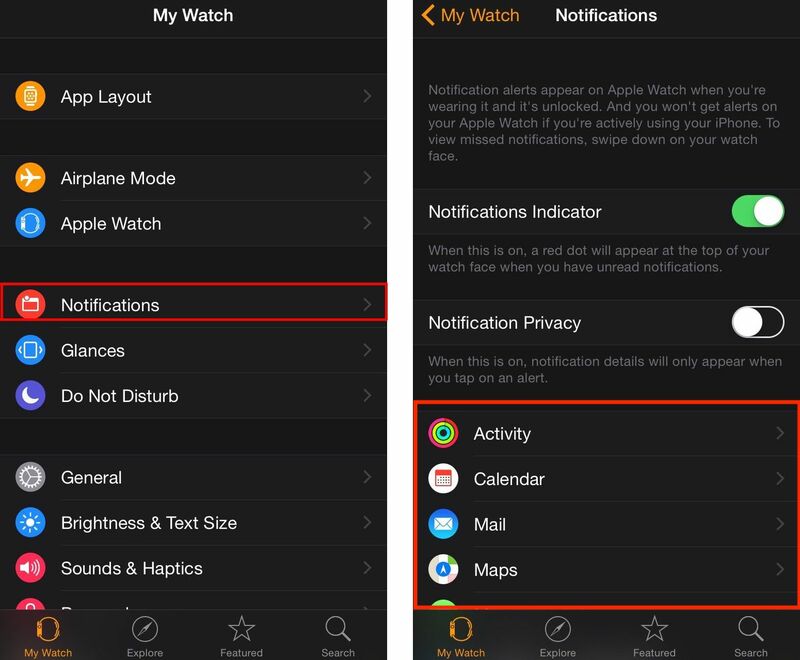 Go through and edit all of the notifications that you can do without — which can range from mirrored iPhone alerts or even those Activity or Breathe reminders. Consider disabling all Mail notifications besides VIP alerts. When it comes to the display, you have a couple of power-saving options. For one, it’s a good idea to turn down the brightness in most scenarios. On your Apple Watch, just go to Settings. Use the Digital Crown to adjust the level to your preferences. OLED displays also don’t use any power when displaying black pixels. Because of that, more minimalist watch faces that use up less screen real estate for brightly colored complications or text will use less power. Alternatively, use as few complications as you possibly can. The Apple Watch’s gentle haptic buzz isn’t the biggest drain on its battery life, but it does make a difference. Many users find that editing the strength of the haptic is a good option because even the lowest haptic setting suffices when it comes to noticing alerts. You do have a couple of options when it comes to editing your haptic preferences. Go to Settings on your Watch. Disabling Prominent Haptics is a good idea for battery life savings. 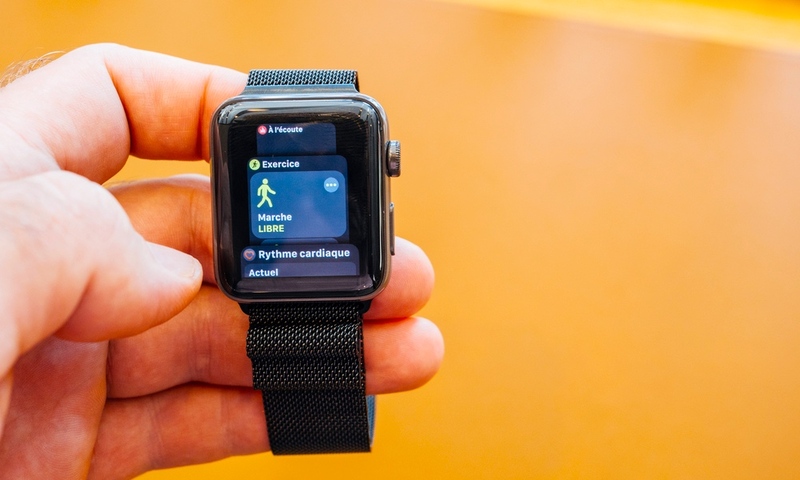 The heart rate monitor is an important part of the Apple Watch’s health and fitness suite. But it does use up battery life. Weigh your options. 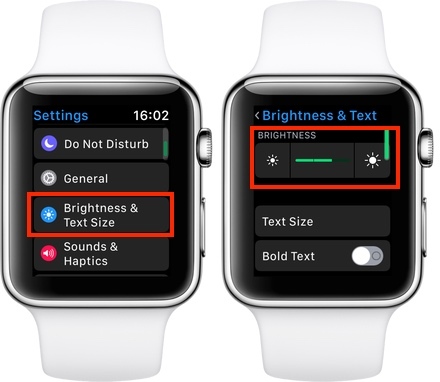 If you decide that you can do without, you can disable it in the iOS Watch app. Apple also has a built-in battery life-saving feature called Workout Power Saving Mode. Switching this on (in Settings > General) will disable the heart rate monitor, as well as cellular connectivity when you’re running or walking. Of course, heart rate monitoring is an important health feature, so take some thought to see if it's really the kind of thing you want to disable.